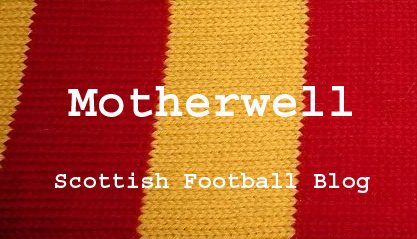 As I said last night Craig Brown's departure is a right sair one for Motherwell. And a sair one they are distinctly unchuffed about. The Motherwell official statement wishes Brown and Archie Knox well. But. “We realise the desperation they are feeling and the pressure they are under from their fans for their own performance as a Board but to go about their business in this way is a matter of gross discourtesy. It is also conduct which is beneath the integrity we would expect of a Club of Aberdeen’s stature. 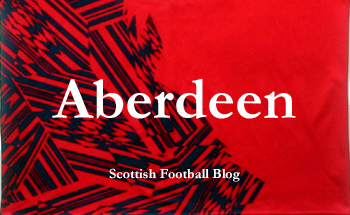 We hope Aberdeen’s fans will reflect on that and understand our need to do something about it. We have raised this matter with the SPL and will pursue the matter vigorously and by all means. We've not heard the end of this one. Grumblings elsewhere about Brown's U-turn over the course of the week. Hard to disagree that an old pro has handled this one badly. Got to like the "the desperation they are feeling" line in Motherwell's statement though. Touché. But Motherwell's fans would be best served if this doesn't become a lengthy slanging match. The club need to concentrate on replacing Brown. Follow up any legitimate complaint but don't get bogged down, there's a strong start to the season to be built on. Thirty years since John Lennon was killed in New York. Football and Music has more on the relationship between The Beatles and football - turns out they weren’t all that bothered. Although there is also a suggestion that Brian Epstein told them not to make their allegiances clear to avoid upsetting the red or blue sides of Liverpool. But one Liverpool player has enjoyed Beatles immortality. And, apparently, because Lennon liked his name. Albert Stubbins was one of the 70 personalities chosen to grace the cover of Sergeant Pepper's Lonely Hearts Club Band as one of John Lennon’s choices. Stubbins’ career began at Newcastle in the late 1930s just before the Second World War deprived Britain of official football leagues. The war meant that Stubbins’ prolific goal scoring for his hometown club came mainly in unofficial competitions and matches. In the 1945-46 Northern League Stubbins scored 39 goals for Newcastle, some 25 more than his Geordie colleague Jackie Millburn, and cemented his reputation as the country’s top goal scorer during the war years. Liverpool then forked out £13,000 for his services - a sum he repaid with 24 goals and a league championship in his first season at Anfield. Another six seasons - and 83 goals in all competitions - followed at Liverpool. Stubbins was what we now call an 'old fashioned centre forward', with an imposing physique. "Always robust, but never unfair." And then, 14 years after Stubbins had left the club, John Lennon remembered his name, a name that apparently amused him as a child. And so Albert Stubbins took his place on arguably the most iconic album cover of all time. "Well done, Albert, for all those glorious years of football. Long may you bob and weave." Albert Stubbins died in 2002. Obituaries at The Guardian and The Independent. Bit of Twitter chat about winter breaks and bad weather. Someone suggested a break could mean the return of the Tennents' Sixes. If only. Footage above the last tournament in 1993 - will the Jags ever get to defend their title? A video that I hadn't seen before, so apologies if you have. 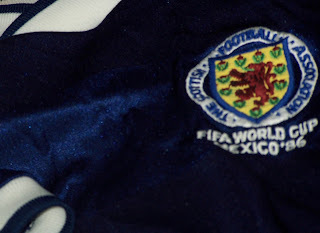 Quick tour of the museum at Hampden and a bit about both Queen's Park and Third Lanark. Worth a watch. Is summer football going to become a bugbear of mine? Probably not. But there is a problem with our schedule. And that's mixed in with my traditional moan: our inexplicable problem with scheduling home-away-home-away games for clubs. Do we want to make it more difficult for fans to watch Scottish football? It seems so. The scheduled SFL game of the day at the weekend was in Falkirk, with Raith Rovers supposed to be the visitors. A crowd in excess of 5,000 had been anticipated; that figure is unlikely to be matched if the teams play on the rearranged date of 14 December. Hospitality packages purchased with Saturday in mind will suffer an inevitable drop-off for a Tuesday night; all in all, it is a costly process for the home club. "It's a funny one because normally we would have moved heaven and earth to make sure the game went ahead," said Falkirk's managing director George Craig. "We had everything in place - gritters, snow ploughs and the like but we had to take a view. Even if we managed to get the game on, what would have been the possibility of people being prepared to travel? "People have struggled to get the schools and their work all week, were they then likely to come out for the football on a Saturday? With that in mind, it was probably one of the easiest decisions we have had to make. And that's not even taking into account the pitch, which is sitting with ten inches of snow on it just now." The balance sheet, though, will feel the impact of Falkirk's current situation. "We are not due to have a home Saturday game until 18 December," Craig added. "That will mean a six-week gap between them. When you are in the SFL, gate receipts basically are your income." As The Scotsman points out Alloa's game against Peterhead went ahead, the artificial pitch proving its worth. But a fake surface wouldn't really have helped Falkirk this week. Clubs are being crippled by winter weather. Dare I say that we're also not seeing our players at their best because we ask them to play at the wrong time of the year. Major leagues in Europe don't have winter breaks or summer football. Well, we're not a major league. We need to do everything we can to improve the quality of our football and maximise our earning potential. Summer football or a total (three month?) shutdown? I've said it before and I'll say it again: it's time for a serious discussion.